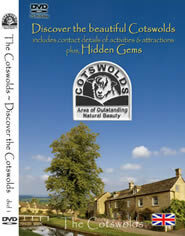 Cotswolds Tourist Board - Guide to the most beautiful part of England. The Cotswolds Tourist Board is your complete guide to the most beautiful place in all of England, perhaps the United Kingdom, too – and that’s a fact considering that the Cotswolds was declared as an Area of Outstanding Natural Beauty. You will want to spend your holidays, vacations and road trips in the area because of its spectacular landscapes of rolling hills, verdant meadows and pathways waiting to be explored as well as the hundreds of charming villages, old market towns and ancient castles. However, you will appreciate the benefits of planning your trip to the Cotswolds for obvious reasons. This is where the Cotswold Tourist Board comes in with its comprehensive information on everything that a traveller requires for travel-related planning from accommodations to the latest news and updates. Here is a sampling of said information. With hundreds of old market towns, charming villages and small settlements in the Cotswolds, finding the right accommodations is your topmost priority. This should be a fast, easy and convenient task given that even small settlements provide for modest accommodations for tourists, said accommodations of which can be a small inn or a bed-and-breakfast. You may even tap on the generosity of the village people by renting a room for the night. Still, we suggest booking your room in advance especially during the peak season. You can easily do so by logging online to the hospitality establishment’s official online site or calling its front desk for reservations. 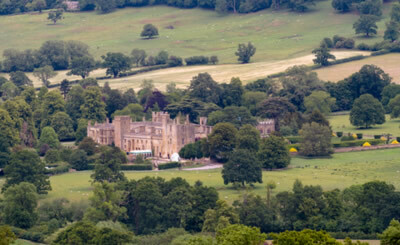 Yes, the Cotswold Tourist Board’s website also have excellent information on several types of accommodations from camping and caravanning sites to luxury hotel houses, cottages and even castle hotels. Every visitor to the Cotswolds is spoilt for choice in the area’s vast 2,038 square kilometre expanse. This is a place where laidback English countryside living can be combined with adrenaline-pumping adventure, exploration of history and heritage, and learning new arts and crafts. Whatever your passion, you will meet your match at the Cotswolds. Yes, indeed, the Cotswold Tourist Board has every right to boast about the Cotswolds!